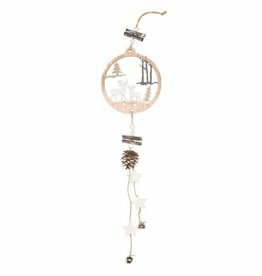 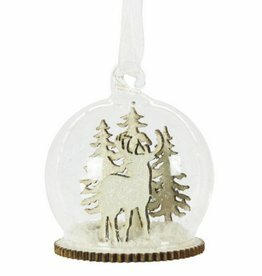 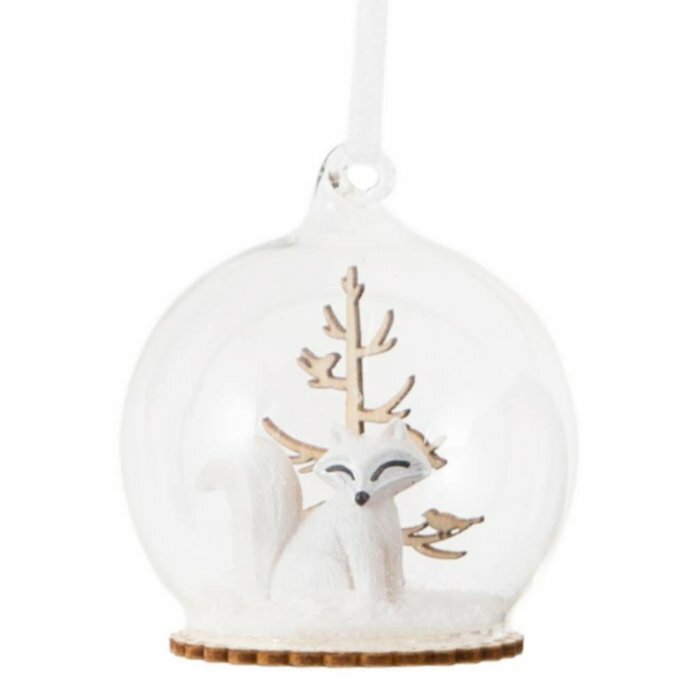 Snow fox winter forest bauble containing a small white fox surrounded by snow and a wintry tree. 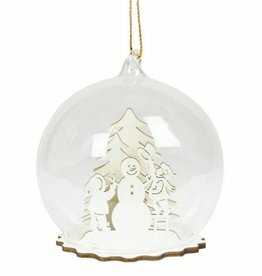 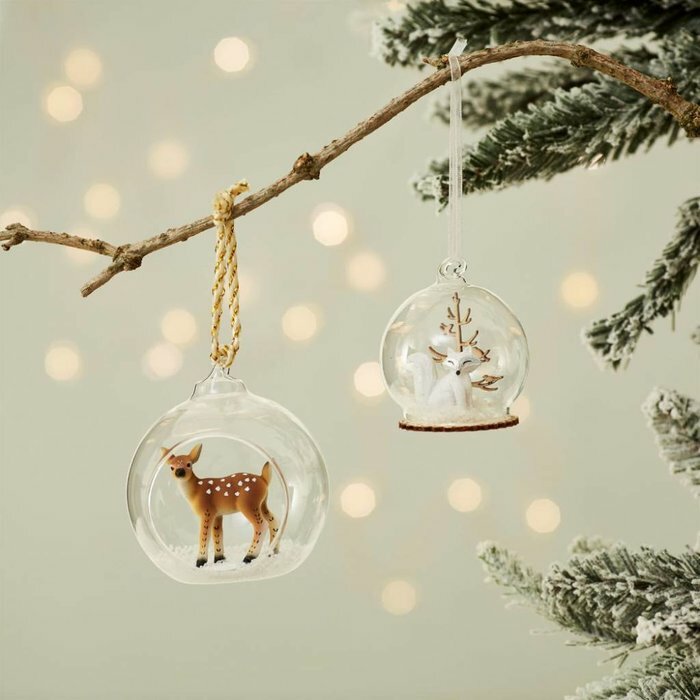 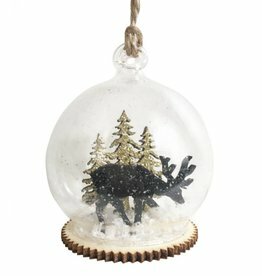 The beautiful bauble is encased in a glass dome making it look like a snow globe. 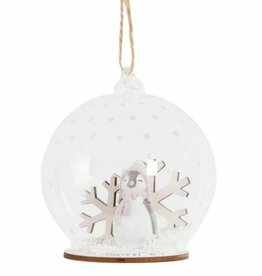 It is sure to add a wintery spark to your Christmas decorations.